On this call Dr. Paige Lawrence, PhD, Associate Professor at the University of Rochester School of Medicine, discussed her research on understanding how the environment influences the development and function of the immune system. Dr. Lawrence's research program defines ‘environment’ very broadly. As such, past, current, and future research questions encompass pollutants, natural products, and therapeutic agents under the umbrella of ‘environment.’ Some investigative efforts seek to define, at the cellular and molecular level, precisely how specific environmental insults modify the function of the immune system. For much of this research Dr. Lawrence and her team have probed the integrated function of the immune system using infectious agents, such as influenza viruses. Other research centers on delineating how exposure during a critical periods of development, such as in the womb or immediately after birth, change the functional capacity of the immune system and impact health later in life. This research includes experiments to identify how environmental chemicals alter epigenetic regulatory mechanisms in the cells of the immune system, as they are developing, and how these modifications change immune system function and alter disease processes later in life. Although the majority of research focuses on understanding how environmental exposures influence immunity to infectious diseases, past and on-going projects also explore how developmental exposure influences asthma and autoimmune diseases later in life. Dr. B. Paige Lawrence, PhD, is a Professor in the Departments of Environmental Medicine and Microbiology and Immunology, University of Rochester School of Medicine & Dentistry. She earned a BA. from Skidmore College (1986), where she majored in biology and chemistry, and a PhD from the Department of Biochemistry, Molecular and Cell Biology at Cornell University, with a minor in Immunology (1993). She received specialized training in immunotoxicology during a post-doctoral fellowship at Oregon State University, and launched her career as an independent investigator at Washington State University. 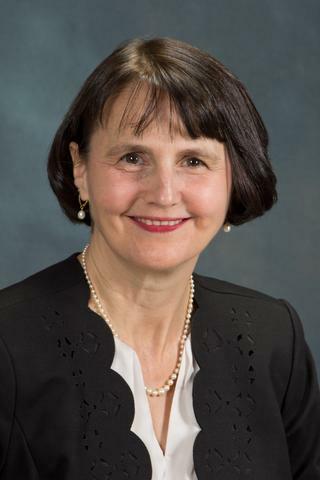 She is the recipient of an Independent Scientist Award from NIEHS, and has garnered several extramural research grants in the areas of immunotoxicology and developmental and reproductive toxicology. In 2006, she relocated to Rochester, NY, where she is currently the Director of the Toxicology Training Program. She is a member of the Society of Toxicology, American Association of Immunologists, and American Association for the Advancement of Scientists. She currently serves as an Associate Editor for Toxicological Sciences and forEndocrine Disruptors, and is a member of the editorial board for several journals, including Toxicology, The American Journal of Physiology-Lung Cellular and Molecular Physiology, and The American Journal of Reproductive Immunology. She was a member of the Institute of Medicine of the National Academies’ Committee to Review Adverse Effects of Vaccines, and the Scientific Advisory Board Dioxin Review Panel for the US Environmental Protection Agency. She is currently an appointed member of the Innate Immunity and Inflammation NIH Study Section, and serves on the Nominating Committee for the Society of Toxicology.